“One of the most remarkable of human beings’ characteristics is the capacity for becoming used to conditions of almost any kind, whether good or bad, both in the self and in the environment, and once they have become used to such conditions, they seem to them both right and natural. The Alexander Technique was developed around 1900 by the late Frederick Matthias (F.M.) Alexander, an Australian actor and Shakespearean reciter. Afflicted by periodic loss of voice for which medical treatments gave only temporary relief, Alexander suspected that the problem might be the result of something he was doing with his vocal mechanism. He began using a mirror to observe himself while he spoke and discovered that what he was doing wrong did not stop (or start) with his vocal mechanism, but involved a pattern of malfunctioning that he carried out throughout his entire body. He also realized that what he felt he was doing was quite different from what he observed in the mirror. Although it caused problems, his customary use of his body felt natural and “right,” while new improved habits at first felt strange. In the painstaking course of solving his problems, Alexander developed a new approach to physical education and health, an approach that has enabled thousands of men, women, and children to use their bodies with ease, grace, flexibility, and freedom from strain. 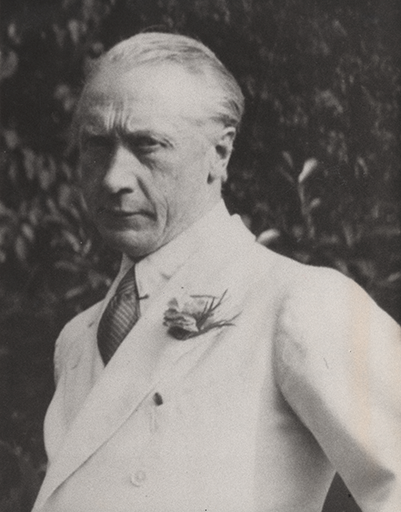 Alexander established a school in London 88 years ago, and since then the Technique has spread throughout the world. The Alexander Technique is a system of neuromuscular re-education that allows one to sit, stand, and move without excess muscle tensions. Through the Alexander Technique you can learn to observe and correct your own habits of misuse. With a guiding touch and verbal instructions, the Alexander Technique instructor analyzes your imbalances and reinforce your innate postural reflexes. Ultimately, you learn to harness your innate kinesthetic intelligence, reduce your stress level, and clear the way — in simple daily activities or complex skills — to realize your goals. It is common for people who are otherwise in good health to complain of back pain, excessive fatigue, poor posture, physical tension. Although these conditions seem to be inflicted upon the body, often they are the result of the way in which the body is used in such ordinary daily activities as walking, speaking, standing, sitting, bending. The pain or a backache or a neckache is sharp and localized, yet the cause is likely to be a phenomenon impossible to isolate: improper use of the body. When the Alexander Technique is applied, the body alignment changes: the head moves up from the top of the spine; the spine lengthens to relieve abnormal curves and pressures; the musculature supporting the skeletal frame is neither contracted nor relaxed, but dynamically balanced. This dynamic balance, along with the improved relationship of head, neck and torso, is freely maintained without physical effort at all times. The Technique is of special interest to those who must use their bodies with maximum ease and effectiveness (musicians, actors, dancers, athletes), but absolutely anyone can benefit from Alexander work. There is no area of a person’s life to which the principles of the Technique cannot be applied. The many benefits that the Alexander Technique afforded us as actors included minimized tension, centeredness, vocal relaxation and responsiveness, mind/body connection, and about an inch and a half of additional height. The Alexander Technique helps to integrate the individual dancer, plus all the systems that he or she has been exposed to. It is important to tell a student that there is a different way of moving -- free of grit force, interruptions, habitual patterns, of tension. They need to learn to stop that. Singers, beginner through professional, need to understand the Alexander Technique principle of the ‘The Use of the Self’ which includes most importantly the prevention of habits that interfere with their potential in the singing world.